It’s the end of 2011, which means we’re starting to see trailers for movies in 2012. 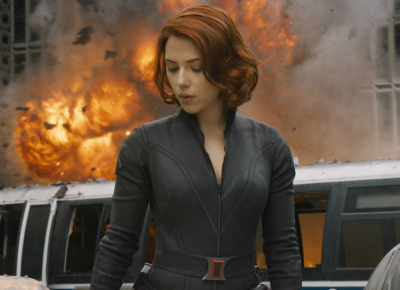 Spring and summer are traditionally great times for studios to release big budget blockbusters. 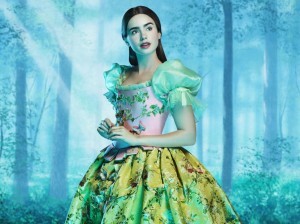 2012 is going to be an interesting year for fans of the Snow White story. They’ll get two servings of this tale re-envisioned by Rupert Sanders (Snow White and the Huntsman) and Tarsem Singh (Mirror Mirror). Trailers for both are now available for viewers to decide which they’ll see. Let’s compare both and decide which is for you. Is it possible you’ll end up watching both? Snow White and the Hunstman embraces a dark tone using stunning visual effects to convey the deeply sinister nature of Queen Ravenna. She’s constructed using the same recipe of the White Witch from The Lion, the Witch and the Wardrobe. There’s no mistaking she’s the protagonist and we WILL see her take lives without batting an eye. The trailer is chalk full of CG and I for one never get sick of giant flocks of ravens or exploding glass in slow motion. I’d be shocked if Mirror Mirror was rated anything higher than PG. Queen Ravenna is once again the star of the story, but this version adds a heavy dose of comedy dialog. Rather than being disgusted at Ravenna, audience members will likely fall in love with her and perhaps hope to see how far she’ll go, although we all know she won’t win. The 7 Dwarfs also appear to play a much more involved role and all seem to have distinct personalities. Let’s start off with Queen Ravenna since she obviously has the most dialog in both trailers. We saw Charlize Theron masterfully portray a serial killer in Monster, so we know she’s capable of playing the bad guy. The difference in this role, however, is that Queen Ravenna is on the complete opposite end of the spectrum when it comes to looks. Sure, she’s almost always wearing black to remind us of how dead she is inside, but from her shoulders up, she’s absolutely gorgeous, just as you’d expect whenever she’s brought up, which is critical as beauty is the source of Queen Ravenna’s power. In Mirror Mirror, Queen Ravenna is played by Julia Roberts, who is commonly perceived as America’s sweetheart and that doesn’t change here despite her intentions being evil. As hinted earlier, there are lots of laughs of to be had. Her first line in the trailer ends with a punchline and we see lots of cheeky attitude later with rolling eyes and other cute lines. The next comparison is more against male leads since the two take different approaches. Chris Hemsworth gained attention as an action male lead in Thor. He’s a good looking Aussie with tons of muscle definition, but we’re all waiting to see how much depth and emotional range he’s able to deliver. His character’s name is in the title of the movie, but with few words in the trailer, we’re left wondering how involved Eric, the Hunstman is in the plot. 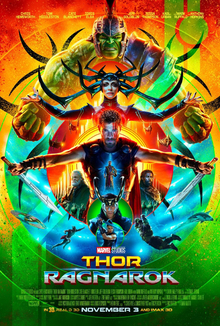 Regardless of the trailer’s limitations in showcasing his role, I’d expect to see Hemsworth bring some bone crushing, blood spitting action to the screen. Armie Hammer did a great job fooling some people into thinking the twins of “Social Network” were two different actors and he’s received some good buzz for his role in J. Edgar. It doesn’t seem like his role Mirror Mirror is as heavy on action as it is on dialog, although he does hold a sword in one scene of the trailer. He plays a character born into royalty, Prince Alcott, which may also suggest he’s not the fighter type as any privileged person can usually find others to do his dirty work. Looking at the two Snow White posters is the most obvious way to draw a conclusion between one of the two movies biggest difference. Kristen Stewart plays Snow White and without any dialog in the trailer, we can only guess how engaging her role will be in Ruper Sanders’ story. Rather than being a helpless damsel in distress, this Snow White carries a sword and shield, ready to fight until death. Will Kristen Stewart embrace the Snow White role or will fans simply buy a ticket just to see another movie with Bella Swan? I dug her as Joan Jett in the Runaways and look forward to this role for her. Lily Collins may not have the following Kristen Stewart has, but she does have a nice set of Frida-like eyebrows that catch one’s attention. She sprinkles in a few lines here and there within the trailer and I get the impression her character is, in one word, adorable. Unlike the aforementioned version, I’m not expecting to see any crying, screaming, or blood from this Snow White. There’s not much of a comparison here. We get zero insight into the personality of the 7 Dwarfs in Snow White and the Huntsman. They’re illustrated in one of the movie posters, but we aren’t sure how integral they are in the story. In contrast, Mirror Mirror’s trailer shows the 7 Dwarfs taking up additional comedic relief roles. When it comes to visuals, it looks like a tossup between the two movies. Serious attention to detail was spent on action scenes and wardrobe. 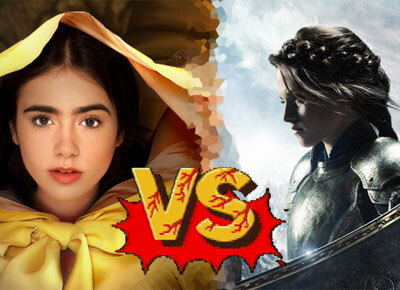 While Snow White and the Huntsman’s trailer shows plenty of intense battle scenes, Mirror Mirror looks like a grand fashion show starring Snow White and Queen Ravenna. This isn’t the first time movies touching the same story have come out so close in release dates. A few years back, we saw Philip Seymore Hoffman portraying Truman Capote and thought we had deja vu when the role was later played by Toby Jones. I see Snow White and the Huntsman targeted towards fans of Lord of the Rings. It has a villain that embodies everything evil, epic battle sequences, and lots of great CG. Mirror Mirror seems to fall under the same category as Enchanted. You can bring the kids and not worry they’ll have nightmares afterwards. This entry was posted in Movies/TV and tagged armie hammer, chris hemsworth, julia roberts, kristen stewart, mirror mirror, Rupert Sanders, snow white and the huntsman, Tarsem Singh, versus on December 6, 2011 by Mark Azali.